HEY, EVERYONE! I'M TEACHING A MAJOR ONLINE CLASS ABOUT “CRAFTING YOUR PLOT IN THREE ACTS (AND 9 TURNING POINTS AND 3 CHARACTER ELEMENTS)”. YOU CAN CLICK HERE TO READ ABOUT IT AND ENROLL IF YOU LIKE! let me guess: You're here because you have a story to tell, or maybe just an idea for a story. It might be completely fictional-- something you've made up. It might be inspired by another story from history or TV or literature. It might come from your own life and experiences. But there's a story you are starting to think about developing, a start you want to develop into something bright and strong and great. You're not crazy! And you're not alone. I'm Alicia Rasley, a novelist and writing teacher. I know what it's like to be preoccupied with a story idea. When I get the idea for a story, I can't stop thinking about it. I even dream about it! I speculate about the characters and their motives and past. I draw maps of the story setting. I try to plot out the story events so I can figure out how it all starts and ends. I guess you can say I get obsessed with creating an entire story out of just an idea. This sense of being preoccupied-- even "occupied" by a story inspired me to write an essay about this weird experience of having a story take over your brain: Multiplicity. Read it and see if you're having a similar experience with your attention being taken over by your own imagination and this story that won't let you go. What I have learned is... we're not crazy. We're creative. We're imagining characters and events-- creating something out of nothing. Some of us will be writing scenes and conversations and setting description and character history. And the next step is to take that story idea and develop it-- design a strong plot structure and build powerful events and intriguing characters. I'm here to help you develop that story idea into a dramatic, coherent plot with sympathetic characters--so you can write the great story you're imagining now. So let's get started. If you have a question about a story idea of yours, let me know, and I'll try to address it in a blog post or an article on my email list (you can sign up for my email list here). INTERESTED IN COACHING, TEACHING, OR EDITING BY ALICIA RASLEY? IT WILL BE FUN, AFFIRMATIVE, AND ILLUMINATING. :) CLICK HERE TO FIND OUT MORE. Hey, everyone! I'm teaching a major online class about “Crafting Your plot in three acts (and 9 turning points and 3 character elements)”. you can click here to read about it here and enroll if you like! And remember to sign up for my email list here. Plotting without fears: You can do this! This article takes you through a simple outline of a plot, using a famous story (The Odyssey of Homer) to show you how to use your protagonist to shape your plot events. EXAMPLES OF THE CHARACTER JOURNEY. 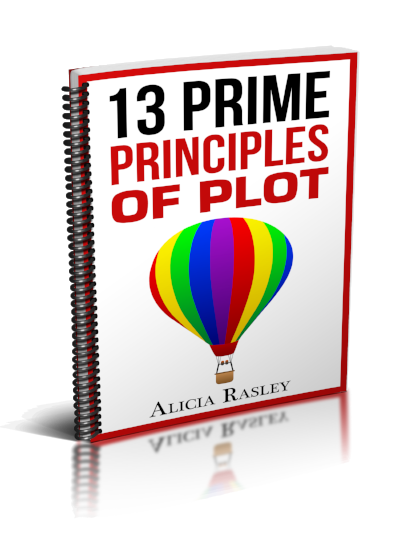 Help for your plot right here! story and the perspectives of the main characters. Editors see these plot problems over and over in fiction manuscripts. In my experience, these are among the most common rejection reasons. Let's count them down, starting with #10, Backstory! Not all videogames are just video and just game like NBALive. 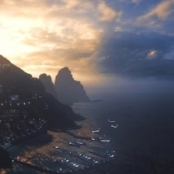 Some are stories told in a game format, as elaborate and deep as a novel, but with the added “game” elements that make the fiction interactive and participatory. Hey, it's not easy to get today's cynical readers to sympathize with your characters-- especially when you're trying to create complicated and unique story people. Here's a 5-part free course, exploring ways to sneak up on your readers and seduce them into sympathy.